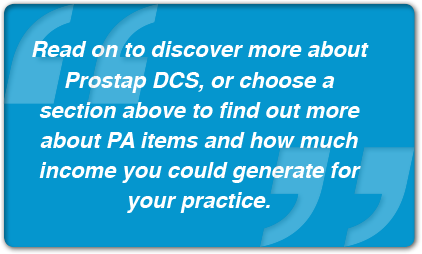 The information within this section of the website is intended for patients prescribed Prostap DCS. Members of the public, and UK Healthcare Professionals should follow the relevant links. Leuprorelin is delivered in a Dual Chamber Syringe (DCS) system which allows administration in under a minute. IMS MIDAS standard unit sales (1,000) MAT/JAN/2014. 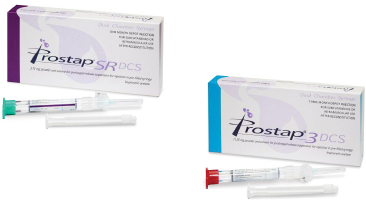 Prostap SR DCS, Summary of Product Characteristics. Prostap 3 DCS, Summary of Product Characteristics. NHS Electronic Drug Tariff. Label L. http://www.drugtariff.